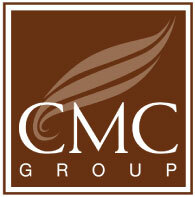 CMC Group launch new projects Chateau In Town Sukhumvit 64/1. Company prince Commercial Property Property Limited, a subsidiary of the Municipality of Kings Ltd (PLC) or CMC GROUP will hold OPEN GALLERY Launches Condo Chateau in Town Sukhumvit 64/1. The Bangkok Horizon Phetkasem Light Station @ 48 project opens. Home is a necessity in life. Therefore, we should carefully select the right home.